What should MSSPs be advising clients to do as the deadline to comply with GDPR looms? Here's a list of key considerations to take to customers today. The deadline to be in compliance with the European Union’s General Data Protection Regulation (GDPR) is almost here. All companies that collect the data of EU citizens will need to be ready by May 25. GDPR is expected be a huge disruptor for the channel between now and 2020, according to a survey of IT resellers and MSPs commissioned recently by Agilitas. 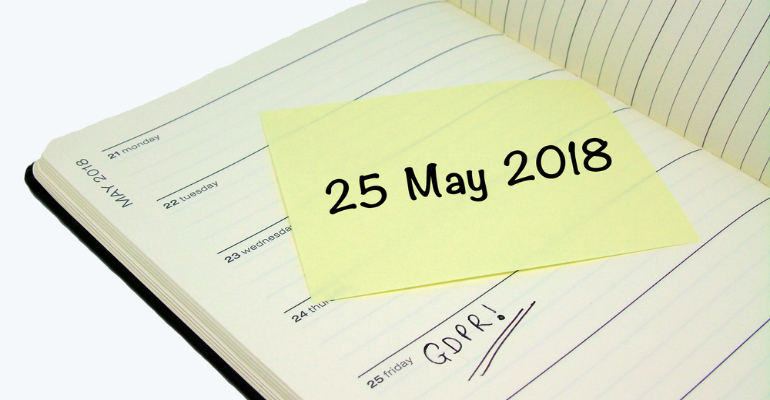 The poll found more than one in three (37 percent) respondents expect GDPR to be the most disruptive challenge over the next three years. But they also predict opportunity in the regulation, with one in three (34 percent) partners noting that they expect to see a revenue boost related to GDPR. A PwC survey shows that nearly all (92 percent) U.S. companies consider GDPR a top data-protection priority, with more than two in three (68 percent) U.S.-based companies planning to spend between $1 million and $10 million to meet GDPR requirements. The opportunity for MSSPs is clear: Clients have budget and need guidance with this complex regulation. Here is a list of some of the key recommendations for GDPR preparation that MSSPs should be advising clients on now. Data mapping is the process of identifying, understanding and mapping out the data in an organization to provide a thorough overview of how it flows to, within and from a company. The process of data mapping should involve all business units in your organization, he notes. Often you will find data that reside in multiple locations. Moshe, who spearheads SysAid’s GDPR implementation efforts, also warns that in mapping, there are often overlooked areas – or blind spots – that need to be considered. Examples might include pictures of customers where they are identified, and client testimonies on marketing materials. Read more about GDPR blind spots in last week’s Security Central. GDPR requires organizations that discover a data breach to notify authorities within 72 hours of discovery. This has a number of Southwell’s clients on edge. Multiple studies put the average time to detect a breach at 200 days. With just 72 hours to notify once detected, this means clients need to have quick access to a lot of affected data. Southwell currently works with clients on advising which products provide a system to help expedite data-exposure information, and that includes data recording in and out of critical resources, and a search function to reveal records exposed. In order to be prepared for compliant breach notification, organizations should validate that the plans they have in place actually work through breach and attack simulations. But it’s not just under attack or after breach discovery when compliance can be tested. There are many aspects of the regulation that should be played out in advance. This isn’t just about the security and IT team. Moshe warns that most divisions need to be trained on relevant aspects of GDPR. Human-resources personnel is one example. Most organizations must appoint a data protection officer (DPO) within the company under the regulation, and many are handling this by appointing existing people within the company and simply expanding roles. Whoever is identified as the DPO needs to be work independently to conduct privacy assessments and without conflict to ensure laws and practices around data protection and compliance are up to date. There is a lot of fear around GDPR, says Moshe. And many advising on GDPR preps are spreading needless worry. Ultimately, Moshe believes the regulation will be a positive step for overall privacy and data-retention practices. He thinks MSSPs should be conveying that message to clients. Who is Security Joan? We’ll never tell, but all you really need to know is that she’s a huge Steely Dan fan (as if the nom de plume didn’t give it away). She’s also a veteran infosec journalist who has covered the evolution of the cybersecurity industry, its shadowy criminal underworld, and the good people trying to stop them for more than a decade. In addition to our weekly Security Central column, Security Joan helps inform the Channel Futures cybersecurity coverage with her sizable expertise. Say hi on Twitter @Security_Joan or shoot her an email at shadowysec@gmail.com.